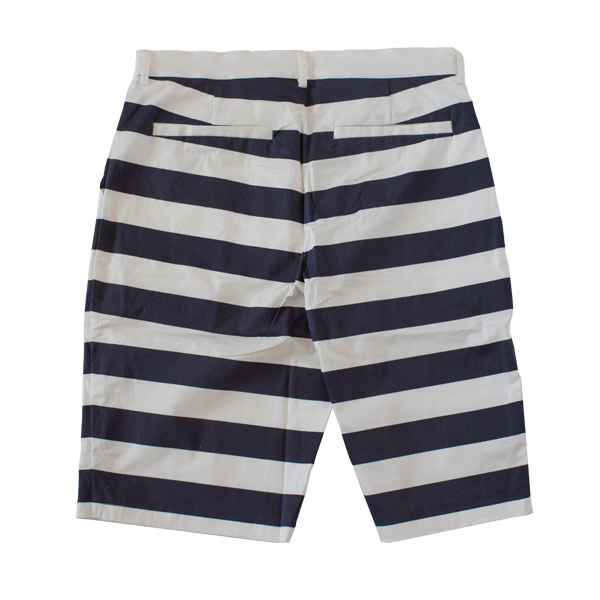 Stripes Short Pants Fresh coloration which Navy stripe on the base of white is impressive, and good to stretchiness, so it’s possible to play golf without stress!! 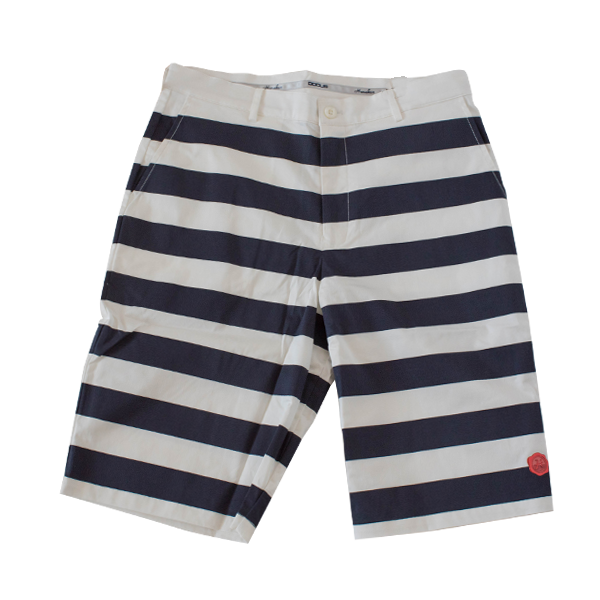 Striped short pants that you can enjoy style of summer and surfer’s taste! The Mark of Sealing wax which is printed on shirt threaten to cause a deformity by heating. You may not do ironing and put the laundry in the dryer.